Lance Shermoen has been involved in Swing dancing for over twenty-five years, in many forms, and in many capacities. His lengthy list of dance credentials could be summed up with his distinction of being a five-time U.S. Open Swing Dance Champion. In addition to consistently placing high as a routine dancer for an incredibly long time, he competed in Invitational/Champion level Jack and Jill contests for over ten years. He has often been compared to a young Dean Collins and is known for his smooth and elegant style. Lance is also a four-time Feather Award Recipient (presented by Fan Flair Enterprises) for “Best Swing Dance Showcase Dancer” (in 1991, ’92, ’93 and ’94). 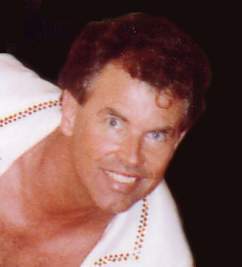 He also received the California Swing Dance Hall of Fame “Nova Star” award in 1990, and a “Rising Star” award in 1996. He has served the Swing dance community for all of these years in every capacity: teacher, choreographer, and judge. He has created demo tapes, given exhibition performances, and participated in many Swing dance promotions – including an appearance in the TV special “In The Swing”. Lance has given freely of his time and talents. For many years, he has actively taught and worked with children in Lynn Vogen’s dance studio. His volunteer efforts have also been instrumental in the informational systems aspects of the World Swing Dance Council. His skills, thoroughness, and dedication are reflected in his well-known event competition computer scoring services. Over a dozen weekends a year, you will find him working with promoters, judges and contestants, for efficient and smooth-running events.